i want my white lude to look like this, i also want to put some rota grids 16x8 205/45/16 or 215/45/16 do u think i will have any rubbing issues??? 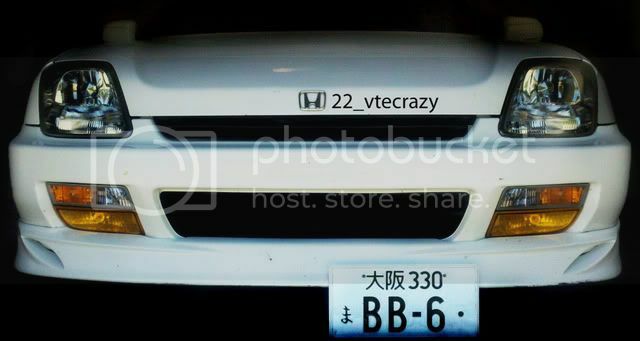 Re: sick A$$ white lude!!! Btw. Those are some weak offsets. 17x9 +25 on 215/40 ftw! I could understand some of the trends that go around, but I REALLY dont understand the whole multi colored bay thing and this hellaflush crap. Yeah I'm not much of a fan of the whole dumped and hella flush trend either. Don't really feel the roof rack trend as well. I get it if you ride bmx or whatever, but 9 times outta 10, they don't ride. I'm flush and lowered, but that's as far as I will take it. Most the "stance" cars you see are hard parkers, straight up. I like to use my car. Function over form, all day. And op, those are pretty weak offsets, and rotas are known to have some pretty major issues. Google rota fail and see for yourself. I mean do as you please because it is your car and you have to deal with it daily. Just do it with style and originality. You don't always have to follow the flock. I like his car but he could go lower. I myself am a part, well becoming a part, of the HF scene, not because I wanna follow, but because I think it looks cool, and to fit some tire/rim combo takes time and practice, and patience, let alone modding your car so that you can fit rims. It takes dedication just like everything else we do to our cars. Rota's aren't necessarily bad rims for daily, but these are my points 1. Kids who don't put their wheels on correct and torque them down to specs or 2. No matter what wheel you put on your car, expensive or NOT you hit the right amount of potholes in the right spot too many times your rim will shatter. And that goes for Volks as well as Rotas. This is my personal opinion not trying to trash what others think or make mine sound so much better. Just giving you guys some more input. first of all i was just getting an idea, my look will be overall different. If you want to talk about following the flock, well check out all the people that go with oem lip kits or mugen front bumpers. For once i will not be going with an oem lip kit. 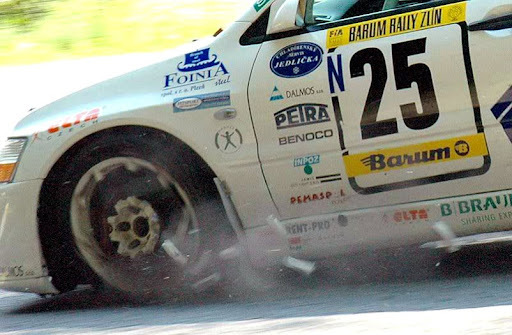 All i want with the tire/rim combo is an aggresive stance, for the look that im going for. and last of all no one responded if i was going to have problems with the sizes. ...and I have no lip kit either, and to have a REAL mugen bumper is baller. not following any flock. Last edited by biglegs; 06-06-2011 at 05:07 PM. I have unpainted base side skirts and rear lip. WHAT!? 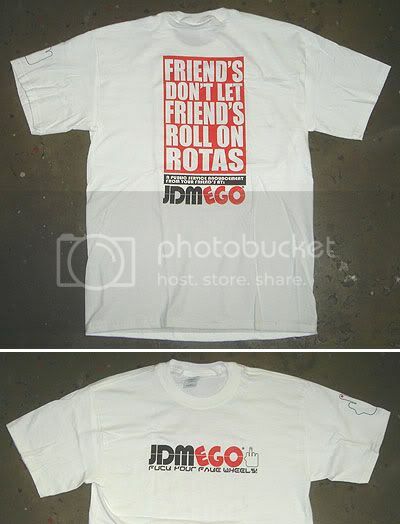 --> ROTA WHEELS? - Page 2 - VW GTI Forum / VW Rabbit Forum / VW R32 Forum / VW Golf Forum - Golfmkv.com that "screamingvtec" has posted, about a quarter of the way down...like I said, ALL WHEELS HAVE THEIR BRAKING POINT. Yes you WILL get hate on, but who cares it is YOUR RIDE, YOUR MONEY, AND YOUR DRIVING HABITS. Do what suits them! Can't Drift a Prelude, FWD (unless it's the lunch tray thing). Looks good standing still, I wonder if your MUSE ever put the setup through the paces. 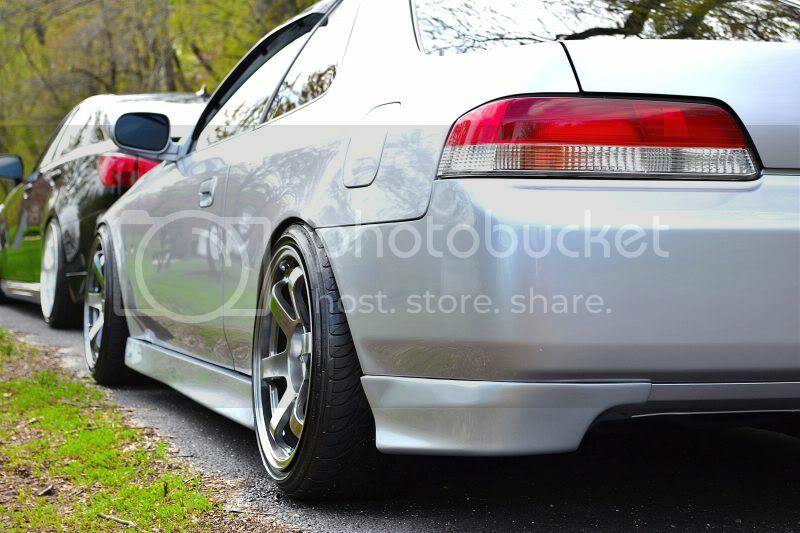 I had Crazier Camber with My 3rd gen (RIP), But that was Ground Controls, Konis, Orijin, Mustercat braces, and HD links. Dialed In. With 4ws, indescribable. Don't get something on looks, Research your setup. Enough with the Rotas already, HPV and Mugen and OEM rims are strong enough. Enough people are itching to sell the good rims for crap. BBS, ASA, VOLKS, PRODRIVE, ENKEI. These are what you want. Damn Tuner Ads. But than again i also won't turn away from bbs, enkeis, BSA, etc. Lmao. Ogs is too mudda fuggin original!!!! No, not all wheels have a breaking point. Actually the good expensive wheels don't break, they bend. So you can go ahead and recant your statement. I was going to sit here and explain to you the difference between forged and cast wheels, but you can go ahead and do the research yourself. 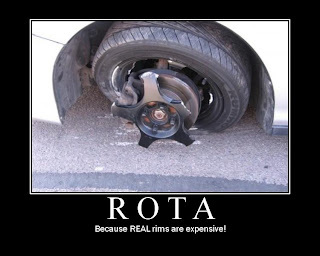 Rota's are notorious for breaking. And not all of them are insane like that, but even the hairline fractures are dangerous. I'm not saying that all rims don't have a breaking point, but there are a ton of people with broke/cracked rota's. They're a cheap knock off brand mostly from Mugen, and nobody understands that. You get what you pay for. You buy a knockoff, expect a knock off. The wheels the OP is looking at now (Rota Grids), were originally made my mugen (they are Mugen GP's). The Rota C8 is a copy of the mf8, and the rota c10 is the mf10. Look at Rota's whole line of wheels with the exception of the slipstream, they're majority Mugen knockoff. Just keep that in mind. OP you do what you want. Just letting you know you get what you pay for. If you want quality you want forged aluminum. Gram Lights, certain Enkeis are, they are out there. You just have to research. I like the look of those wheels on the white 5th but I know that because of the roads I drive it would be impossible to live with, and they are too fat for my 5th's 4WS anyway. Did the US get early Rota wheels that had defects or something. I have Rota's and have given them a propper beating on the track with no problems . Rotas are cast, not forged. IMHO, if the rim has a fail rate higher than 20%, I pass them by. A lot of rotas never have a problem, some warp, some outright break. That's gambling with your whip. Steel wheels are 100% no frill, but never worried about any of those problems. any rims can break. 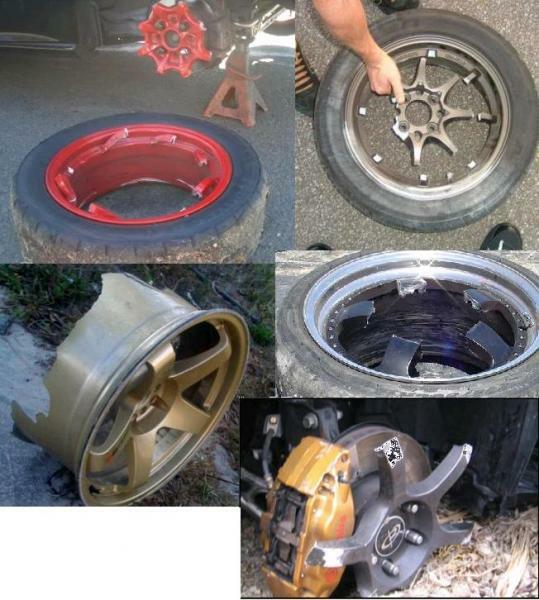 i dont know anyone that tries to destroy their rims on the daily. cali is notorious for bad roads but its also known for slammed rides and more than often...rotas. no problems ive encountered yet but if there is, ill become an EXTREME rota hater. as of now, no. I know what rotas are, due to me being around the Honda game about 1/2 of my life... My brother has had multiple sets of Rotas; Slips (Spoon knock-offs btw) and multiple others... I have yet to see ANY Rotas or knock offs that break, coming from a kid (yes kid im 19) that has been into drifting, and honda tuning. I see drift cars run rotas all day, they are SLAMMED and still kick a$$. There is a 5th gen prelude here in so cal that is running 16x8 Rota Slips, and he does time attack every other week at a local track, and has had nothing bad to say about them. Yes you get what you pay for, I myself is a "Legit Part" Person. But some of us (myself included) don't have the money to buy expensive rims. So they settle for something they can afford. Not trying to say that I am gonna settle for less, I am just gonna sand and polish my blades till I get enough money to but ''legit'' wheels.